We help organisations to prove and improve the value of what they do to drive stronger decision-making and deliver better outcomes for their customers, clients and communities. We build the capacity of organisations to think in new ways and to realise the value of their contribution towards shaping, and flourishing in, the new economy. 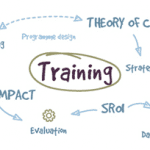 We do this through bespoke training, a range of open and in-house training workshops, resources and toolkits. Contact us to talk about training customised to your needs. We also help organisations with strategy development and sustainable business.